The New Covenant Pesach (Passover) is a Mystery, whose secrets have for centuries remained obscured by Tradition, but hidden in plain sight within the Scriptures, for all to see! As we draw closer to the time of the Bridegroom’s return, we are beginning to see more clearly some of the prophetic pictures necessary for the Bride’s preparation. Of these preparation items now coming into view, perhaps one of the most significant is the Mystery of the Everlasting (New) Covenant Passover. On this page, we present a consolidation of posts and articles dealing with issues of great significance regarding the Biblical Passover. Many aspects of the New Covenant Passover have remained hidden in plain sight in the Scriptures as New Covenant Mysteries, but are now being opened and revealed for all to see. These aspects of Passover are highly relevant to the Bride, and they are a vital part of her preparation. 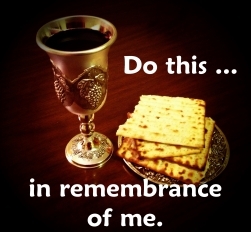 Two Kinds of Passover – Each one must choose for himself: Will I follow Rabbinic Tradition — or will I follow the Scriptures? When Do We Eat the Passover Supper, According to Scripture? 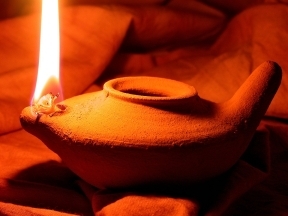 – Today we are rapidly undergoing the promised ‘Restitution of all things,’ in which the restoring of the true timing of Passover plays a major part. But how do we determine the Biblical timing of the Passover Supper? The Torah and the Testimony together reveal the timing of the Passover Memorial supper. Passover: Seven Days or One Day? – When we follow Rabbinic Tradition of Passover instead of Scripture, we fall into disobedience. We fail to celebrate Messiah’s Passover, for Rabbinic Tradition does not celebrate Passover, but only Unleavened (Lk 22:1) — which [by Tradition] is called Passover! When we misunderstand certain prophetic statements regarding the Passover, we distort the Biblical picture of Passover; When we choose to acknowledge Messiah’s words and example, the Biblical Passover picture becomes clear. Passover: Which Day-Truth or Tradition? Part 2 – What did Yahushua say? Will we choose to believe Messiah’s words — or continue to believe popular Tradition? What Your Pastor Never Told You About The Last Supper – Have we been eating the true New Covenant Passover Supper — or have we been deceived into eating a mere ‘Torah-less’ imitation?